As the European tech ecosystem matures, more big names go public in order to raise growth funding. Euronext, the pan-European stock exchange with market locations in Amsterdam, Brussels, Dublin, Lisbon and Paris, has seen just that. Before 2018, the exchange had attracted one giant tech IPO per year — Takeaway.com raised €378 million in 2016 and X-Fab sold shares for €426 million in 2017. Both companies were valued at around €1 billion at the time. This year, however, Euronext attracted two “unicorn-IPOs” coming from the European tech scene. After the public offering of the fintech Adyen in June, the French cleantech company Neoen, an independent producer of electricity from renewable sources, went public last month at a valuation of €1.4 billion. Altogether, Euronext currently has more than 350 European tech companies listed on its markets, as well as a pool of more than 850 active investors in this space. Adyen’s IPO had made quite some ripples and saw an outstanding interest of the public. 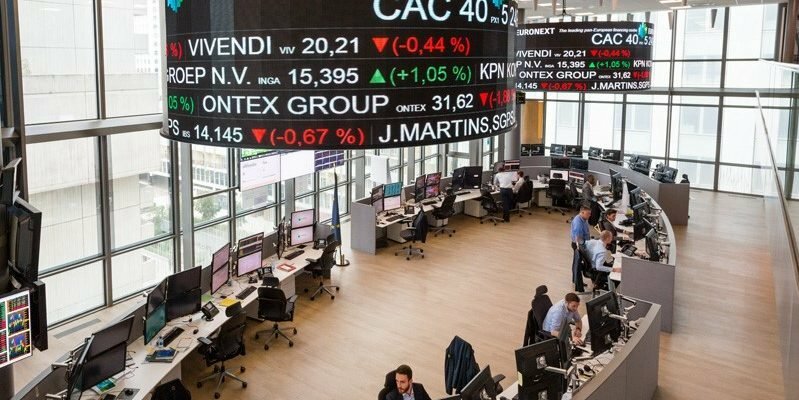 Demand for the company’s shares priced the deal at €240 per share, and the relatively small amount of shares offered (12 percent) for such a big IPO resulted in a price increase of 89 percent on the first trading day on June 13th. During the months after the listing, Adyen’s market capitalisation skyrocketed from €7 billion to €20 billion. Facilitating the partial exit of several long-term investors, the IPO of Adyen was the largest tech unicorn IPO in Europe over the last five years. The payment company keeps growing: it’s just expanded to Canada with a list of first clients including Dollar Shave Club, Adidas, Busbud, and Canada Goose. Earlier this year, it also attracted Gap Inc. and eBay to its platform. As an all-in-one payment provider, Adyen allows its customers to accept money from clients around the world through the most popular payment methods. It also offers additional features like payment optimisation and decreasing the number of declined transactions thanks to the real-time account updater technology. Neoen, in its turn, shook the cleantech ecosystem with €628 million raised during its listing on Euronext Paris this month, becoming the most important cleantech IPO in Europe in 2018. Founded in 2008, Neoen develops, owns, and operates land-based solar parks and wind farms. It’s an active player in the energy transition and the fight against climate change. The company has expanded rapidly in France and on international markets in Europe, Australia, North and South America, and Africa. Among other things, Neoen is the company that has built Cestas Solar Park, which was Europe’s biggest solar farm at the time of opening, and Hornsdale Wind Farm in South Australia. Its clients include public authorities, major companies, and even states. Neoen, which provides green energy to Google among other clients, joins a community of 46 cleantech companies listed on Euronext. These dynamics of the European capital markets welcoming unicorns is also confirmed with smaller tech companies choosing to list to finance their growth; in total, Euronext has had 120 tech IPOs since 2013. Above all, the financing ecosystem in Europe and the maturity of tech companies has increased significantly over the past few years: on Euronext markets, the average deal size at IPO for tech SMEs has multiplied by five, from €13.4 million in 2013 to €73.8 million in 2017.